Below you will find only a few of the incredible athletes that train on our equipment to maintain elite performance in their activity of choice. 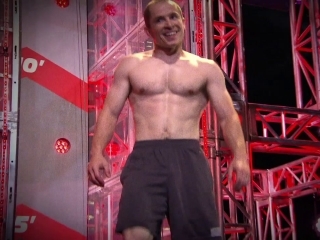 McKinney made his debut in ANW 6, where he placed 35th in Miami qualifying. His run was cut in qualifying, but it was revealed he was the smallest man so far to scale the Warped Wall. In the finals, he made all the way to the Spider Climb, but wasn't able to scale it and was the first man to fail to get up it this season. He still ended up placing 9th and moved on to the Vegas finals. He was the second competitor up in Vegas, and made it past the first 3 obstacles, and was the first to get through the Silk Slider, but wasn't able to get past the Jumping Spider.